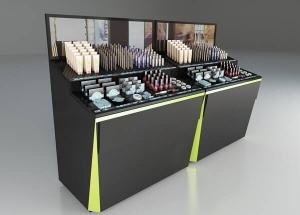 This standard makeup fixtures: storage with hinged door (can lock), halogen light strip, acrylic displays, toe-kick, laminated deck, levelers, storage cabinet, dust resistant,electrical cord with switch. 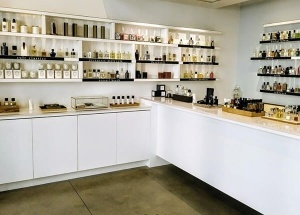 It's can be made two side. 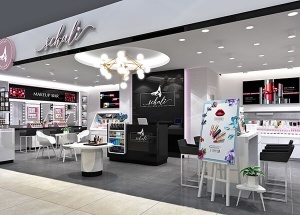 This cosmetic store shelves was design for a cosmetic mall shop located in Cambodia, made at October 2017. 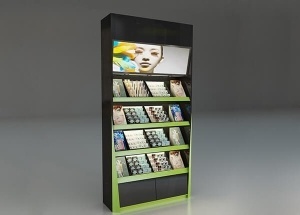 This makeup wall display are pre-assembled with acrylic display cabinets. 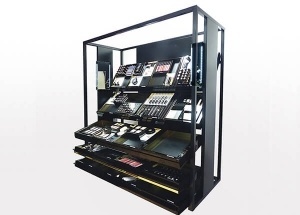 We offers standard laminate and veneer finishes this makeup showcase, and we can also customize finishes to your specification with a factory price. 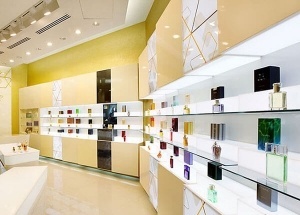 The perfume shop decoration is for a large perfume shop. 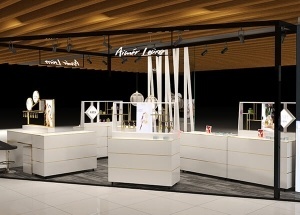 The perfume display cabinets main color is black grey and white. 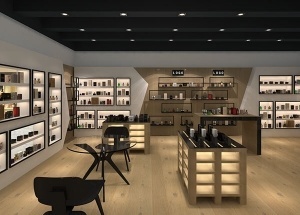 We are manufacturer, custom made perfume shop interior decoration and fixtures. 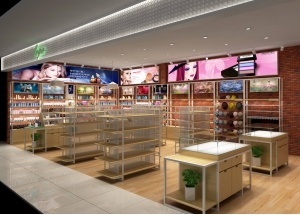 wholesale perfume display cabinet, and perfume shelves, call or text at 008613825185029.